ISLAMABAD: Afghanistan spy agency National Directorate of Security (NDS) Chief Masood Andrabi will visit Pakistan today. He will call on high officials of Pakistani Intelligece Agencies. As per details, NDS chief will discuss matters relating to bilateral interest between both countries in fight against terrorism in the meetings. Intelligence sources claimed that Pakistan will raise the incident of Bacha Khan University attack before NDS Chief. NDS Chief Masood Andrabi will meet DG ISI Lt- Gen. Rizwan Akthar and discuss enhancing mutual understanding between both Intelligecne agencies. The visit of NDS Chief is being considered important to restore trust between both countries. 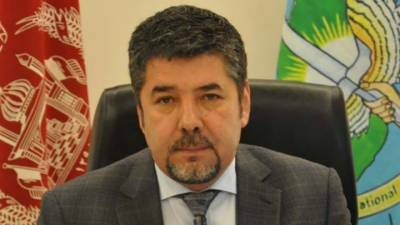 NDS Chief will explain his stance over the charges of Pakistan against Afghan’s agency involvement in Bacha Khan University in the meetings.